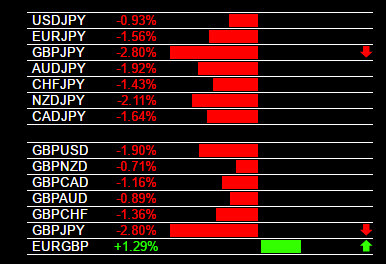 The EUR/JPY is trending higher on the larger time frames. 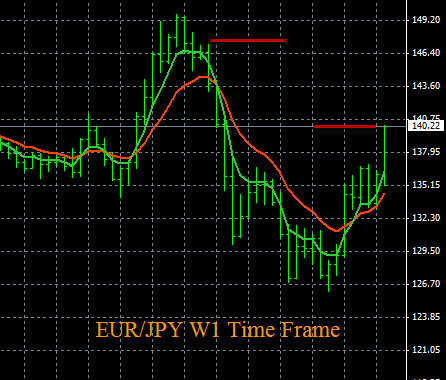 See the image of the W1 time frame below. The current resistance breakout point is 140.25, shown on the chart below. You can set a price alert there. When the alert hits check The Forex Heatmap® to verify the buy entry. The overall upside potential is to as high as the 148.00 area, see the red lines on the chart. 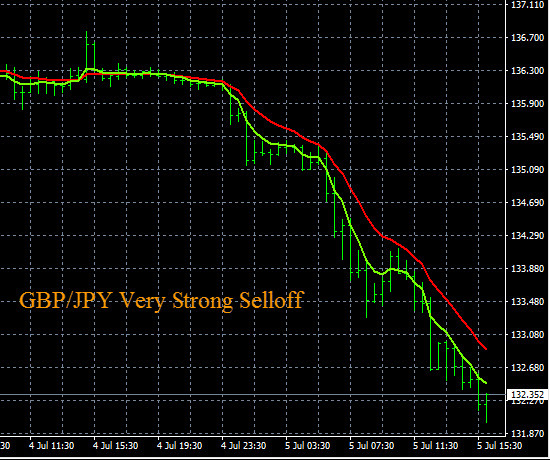 This is about 775 pips of overall potential, so the money management ratio is excellent on this trade. This trend analysis was done with some exponential moving averages we provide to all forex traders. 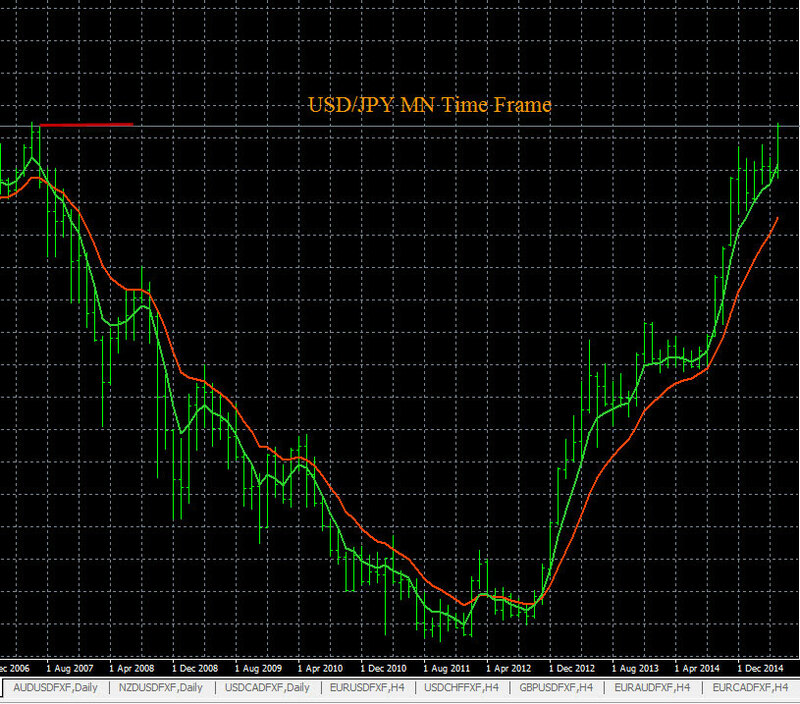 The USD/JPY chart and trend analysis indicates a strong uptrend on the largest time frames. The MN time frame is shown below. Current short term breakout point and price alert area is 124.00. You can set a price alarm here. When the alert hits check The Forex Heatmap® to confirm the trade entry. Past there there is some minor resistance at the 125.65 area. The overall potential is up to the 134.00 area. The charts you see below are our free trend indicators, which are 5/12 exponential moving averages, then analyzed with multiple time frame analysis. The CAD/JPY is building a new uptrend, as shown on the chart below. The trend charts indicate that this pair has broken out of its trading range. The D1 time frame trend is now formed and the W1 time frame trend could also form. 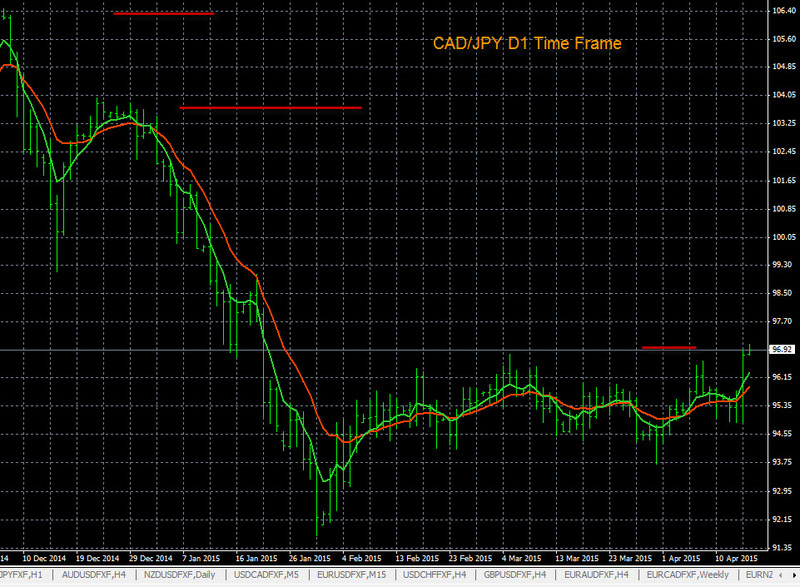 The CAD/JPY pair has a current resistance level and breakout point at 97.00, you can set a price alert here. When the alert hits check for buy entry verification using The Forex Heatmap®. This pair has a lot of upside pip potential to 104.00 or higher, which is around 700 pips, see the red lines on the chart. The trend chart you see below has some moving averages we provide to our clients, applied to multiple time frames. 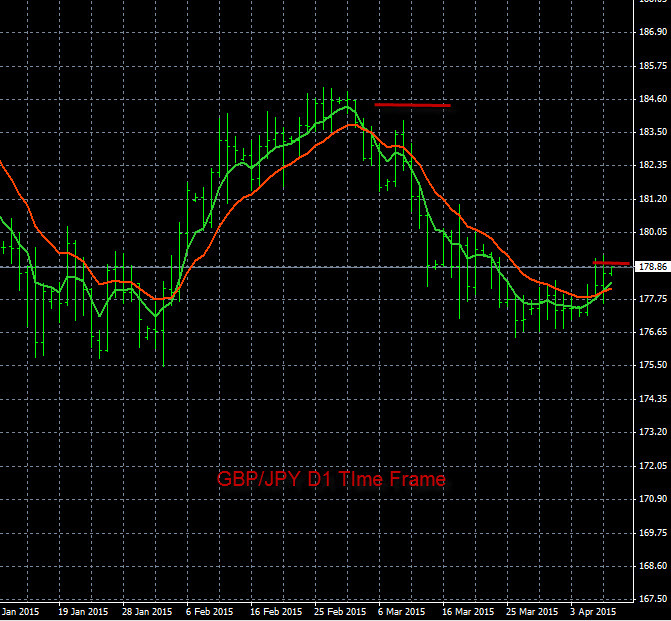 The GBP/JPY is building a new trend going up on the D1 time frame. The current analysis shows resistance is at 179.25, you can set a price alarm here for a buy. Above this price when the alarm hits look for a buy signal on The Forex Heatmap®. The overall pip potential is very good going up to the 184.50 resistance, this is over 500 pips of potential movement. The trend analysis you see below was done with moving averages and using multiple time frame analysis by individual currencies, which is our analytical technique for 28 pairs. 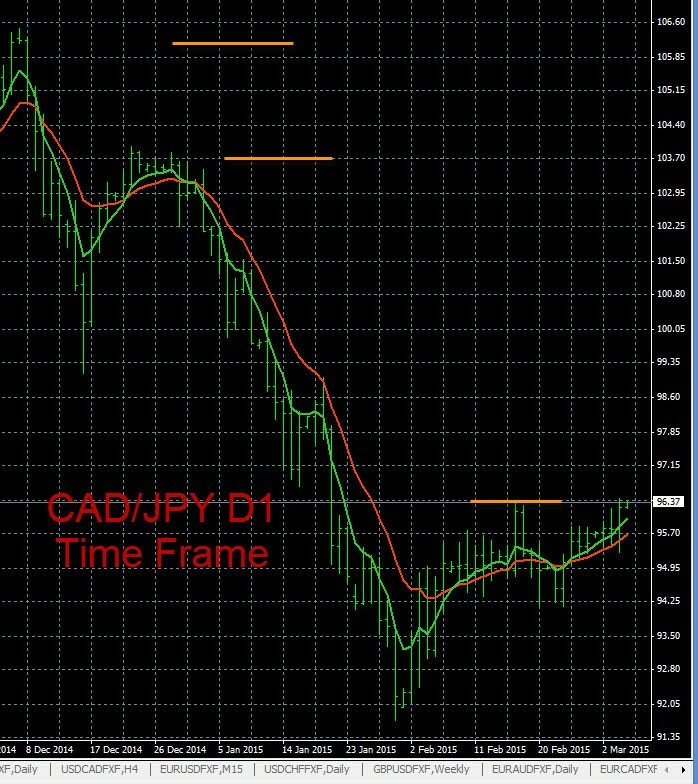 The CAD/JPY chart on the D1 time frame is shown below. This pair is trending higher now. The current resistance level is about 96.50, set a price alert here. Above this price look for a buy signal on The Forex Heatmap®. It has excellent upside potential, possibly hundreds of pips, noted by the yellow lines. The trading charts you see are the exponential moving averages that we use at Forexearlywarning, we provide these charts to our clients at no cost. 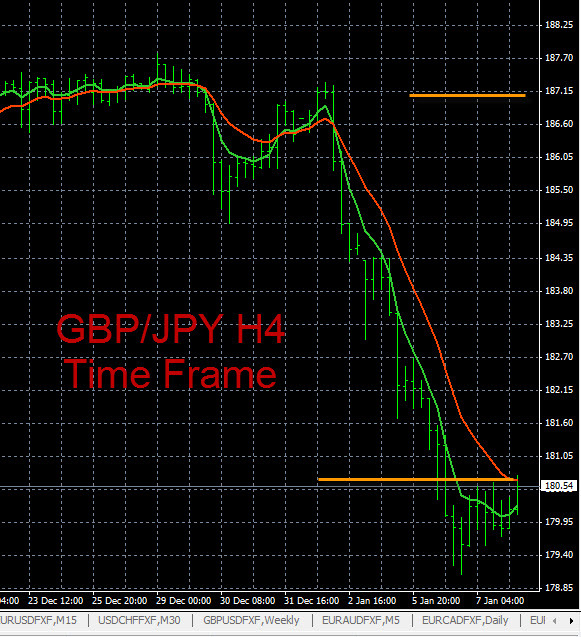 The GBP/JPY charts show that this pair is is still trending up on the larger time frames, but it has sold off on the H4 time frame. We expect this pair to reverse to the upside. It has the potential to cycle back up to the 187.00 resistance area again. You can set a price alert at the 180.75 level on this pair. When the alert hits look for a buy signal on The Forex Heatmap®. This is the H4 time frame chart shown below, these charts are exponential moving averages set up on a meta trader platform.